Offered: All Resident Camp Sessions. Ages: Entering 4th grade and older. Cost: $125 (1 week) or $250 (2 weeks) in addition to session tuition fee. Details: Two hours of hands-on kitchen time each activity day, with each chef using their own equipment and cooking area. Campers learn several dishes with each day’s instruction along with an additional hour of outside-the-kitchen learning. Eggs cracking cleanly. Chefs’ knives grinding methodically against solid wood cutting boards. Herbs ripping into beautiful, aromatic shreds. The sounds, sights, and smells of the kitchen are instantly recognizable. They can be even more attractive to your child if they are already cooking enthusiasts. Some children show passion for the culinary arts early in life, and it’s a fantastic interest to cultivate. Registering your young chef in a summer camp program focused on cooking skills is one of the best ways you can help encourage their interest. Kennolyn Camps offers several specialty summer camp sessions that focus on cooking. 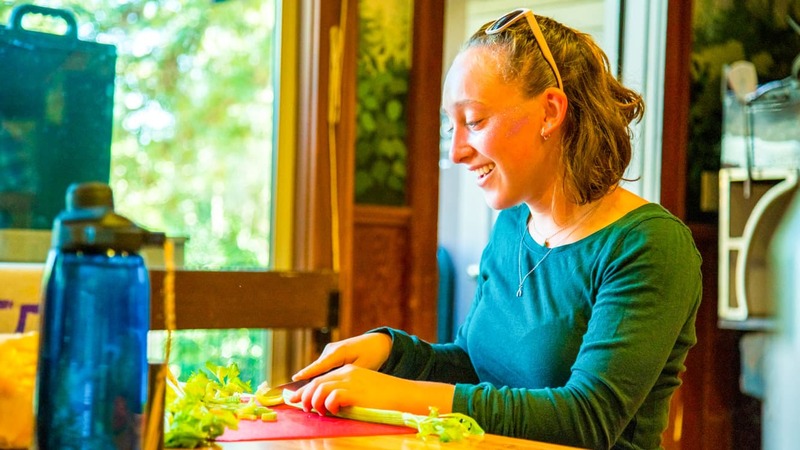 At our Culinary Arts Studio in the Santa Cruz Mountains, one- and two-week campers have the opportunity to hone their skills and meet other budding chefs just like them. 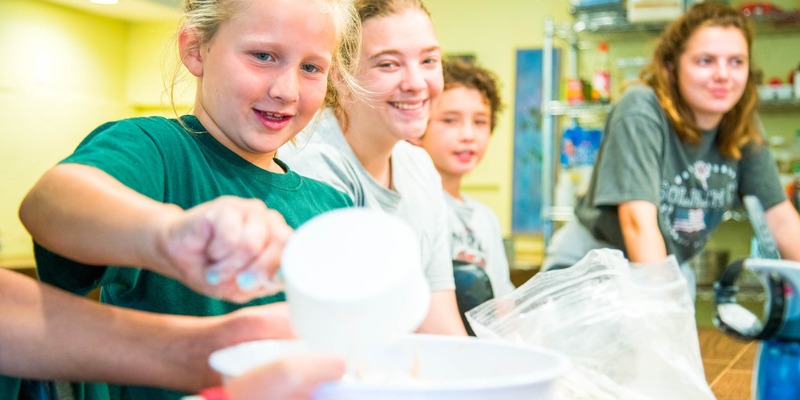 This specialty camp provides campers with the basic skills to create yummy dishes and the confidence to try new recipes at home in their own kitchens. Campers who are entering fourth grade and above can master their cooking skills during two hours of hands-on kitchen time each activity day. We provide each chef with their own equipment and cooking area. Each recipe is made from ingredients gathered from the Kennolyn garden or local field trips, and campers will learn several dishes with each day’s instruction. As they build on the skills they’ve already learned, campers form a collection of recipes that they can take home to enjoy for years to come. We’re are also proud to provide our culinary campers with an additional hour of outside-the-kitchen learning each activity day. Among other excursions, these additional activities include a trip to our local Farmer’s Market, a tour of a local organic farm, and a tour of our own camp kitchen. 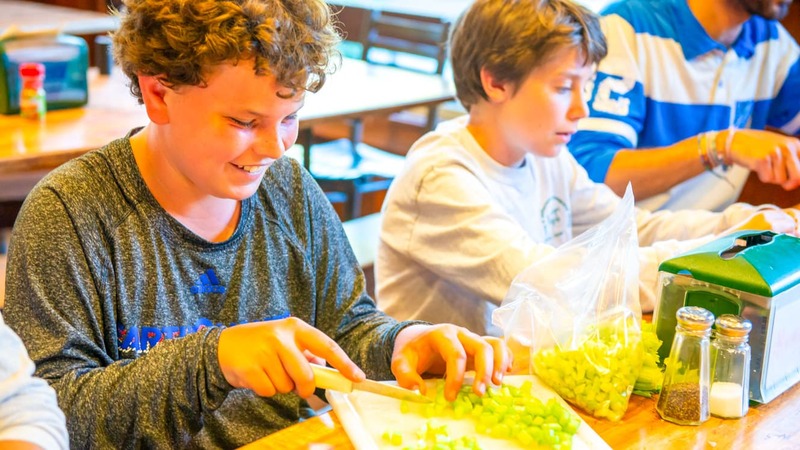 We help our culinary campers see sustainable food practices first-hand. For some, this will be the first time they have become fully aware of where their delicious ingredients really come from! As with all of our specialty and regular activity programs, we offer campers a well-balanced camp experience that involves their chosen focus as well as the other fun, traditional, and community-building activities that make Kennolyn so special. We’ve created the perfect mix of a traditional summer camp and a culinary institute for kids, and are more than happy to share the joy of cooking with you and your budding chefs. Interested in getting your family involved in Kennolyn’s culinary goodness? The best way to have your more detailed questions answered is to reach out directly to Kennolyn staff. We’ll have a conversation together that can help you determine whether this Santa Cruz summer camp is right for your child. Or, if you’re ready to dive right in, you can go ahead and register here for a culinary summer camp session. We can’t wait to welcome you to our kitchens! Images taken from Kennolyn’s Facebook page.